Just after I complained about the lack of band info on a couple of other indie-rock reviews this week, I received this very mysterious disc in for review. You can see the cover above, and that's pretty much all I had to go on. There are no credits on the back, no musician line-up, not even a list of tracks. I threw it in the CD player not knowing what to expect, and my God this stuff is fantastic. After a bit of research I found some info on social media, mainly on the group's Facebook page. 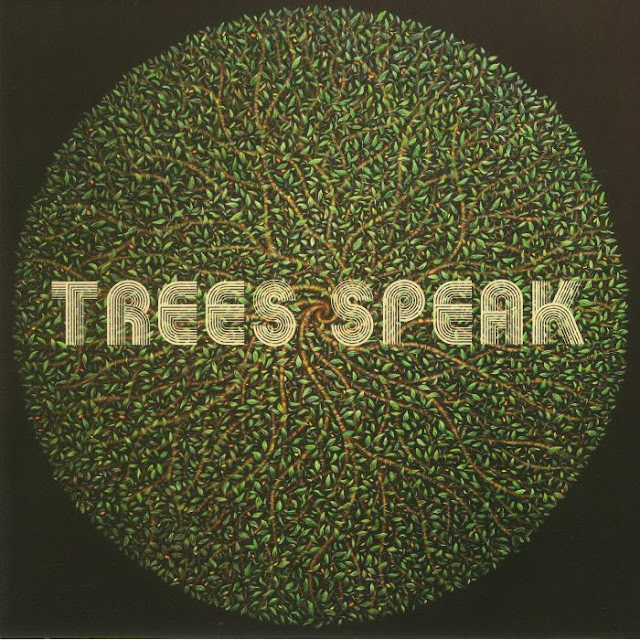 Trees Speak defines themselves as experimental rock, which implies underground, which implies that this is uncommon music that's not being marketed in the traditional sense. "An exploration in expression!" the Facebook page also declares, and that seems again to imply that this is free-form music, It's definitely hard to describe, but I'll take a shot. Imagine if the legendary and innovative Krautrock band Can, back during their '70s peak of creativity, decided to cover Brian Eno's Music From Films. That gets you close to what's going on here, I think. This eponymous first album is a collection of fifteen instrumental mood pieces, most of them only a couple of minutes along (there is an epic suite toward the end that lasts a little over twenty minutes), that are strangely devoid of traditional melody. There are two distinct sides to this music, however--they're blended together but still at odds with each other. The first half consists of some good old-fashioned acid rock, drums and bass and guitars, while the second half is more modern with lots of electronic touches and sounds and beats. Additional guitar work soaked in effects and distortion acts as the go-between. This music isn't modern in the sense that it's full of samples and such--everything sounds like it was recorded live with synthesizers and the random pummeling of percussive objects and machines with a lot of knobs. This sounds extremely adventurous and weird, but I loved every minute of it. Despite the lack of a final element that might hold this music together and propel it into something more mainstream--vocals, a lead instrument or the aforementioned paucity of melody--it's still a fascinating and verdant soundscape. The drums and bass, as basic as they are, deliver plenty of momentum within the depths of these compositions so that you're feeling like this is indeed rock, perhaps a new offshoot of visionary jam band aesthetics. 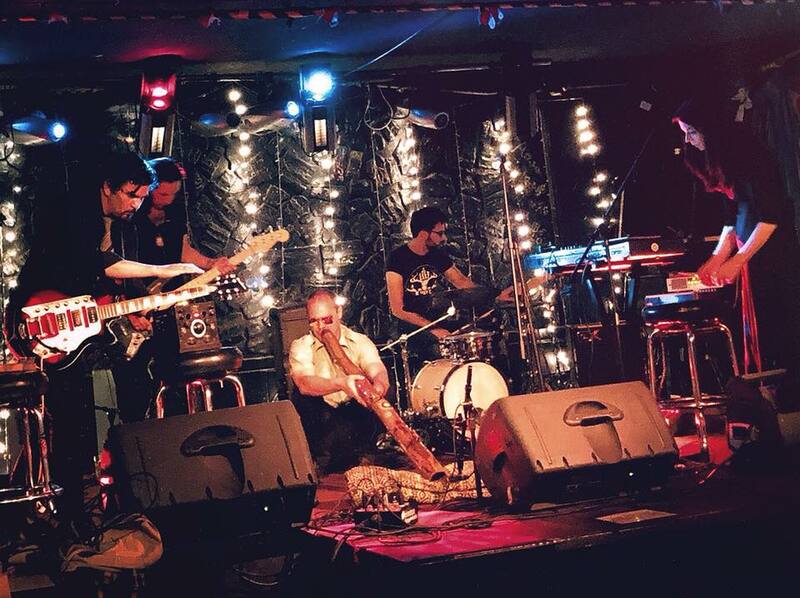 They do cite Can and Miles Davis as influences and go on to describe their approach as transcending "mainstream influences by incorporating elements of Avant-garde, neo-psychedelic and Minimalism." That effectively covers it in a satisfying way, but you'll still be surprised at this music when you hear it for the first time. It's quite original, but not so weird that you won't "get it," especially if you do have a taste for the psychedelic. What's so enthralling about Trees Speak is the way they've brought those old trippy vibes into 2018 with a clean and well-recorded sound, and with touches of pseudo-electronica that may or may not actually be there. This album is such an eye-opener that I can't help but think this is part of a larger genre music, one I need to discover immediately.